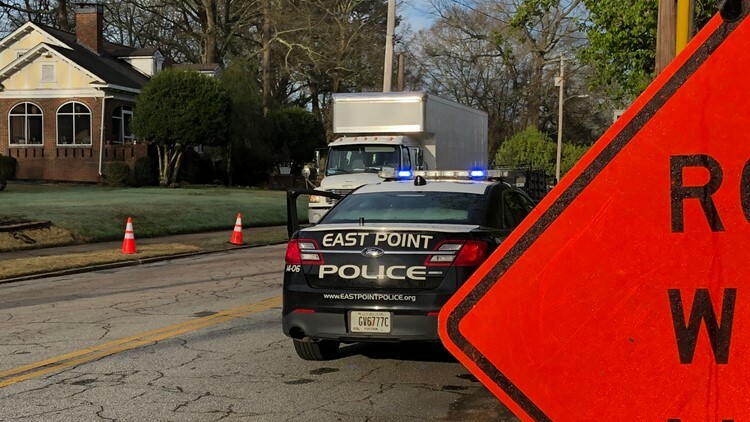 EAST POINT, Ga. — The residents of the Frog Hollow and Conley Hills neighborhoods of East Points may have noticed a ‘few’ extra visitors on their streets as a small fleet of nondescript white trucks arrived two weeks ago. ‘Fear Street’ is the second of two big-budget productions that have been filming near downtown East Point is as many weeks. Last week was the reboot of the classic 80’s horror anthology ‘Creepshow’. This week its ‘Fear Street’, spawned from the mind of yet another horror auteur, R.L. Stine of ‘Goosebumps’ fame. ‘Street’ is the first film in reported trilogy of films adapted from R.L. Stine novels of the same name. The reboot of the classic 80’s horror anthology ‘Creepshow’ filmed an episode in East Point on March 6 near W. Cleveland Avenue. A notice that was distributed throughout the surrounding neighborhoods last week stated that there will be lane closures and minimal traffic control along Linwood and Thompson Avenues between Pearl and Semmes Streets. ‘Fear Street’ is yet the latest in an already impressive roster of horror properties that have filmed in East Point over the past several years. Joining the ranks of 'Creepshow,' 'The Walking Dead' and Netflix’s 'Stranger Things' to name a few. Atlanta has unofficially started to be referred to as the "Hollywood of the South." It seems that East Point will have to start being called the "Horror Capital of the South." With the second horror themed production filming in the quaint quiet street of East Point as many weeks, it seems justifiably earned as well.